Remember these? I finally got around to turning them into little books, using a simple pamphlet stitch. 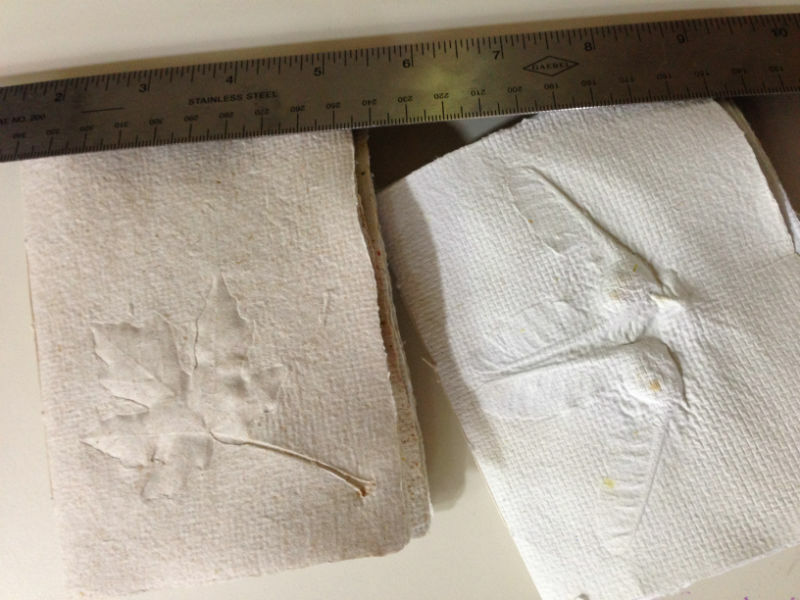 I love the 3D effect of the imprinted found items.